Well I would like to give them a 5 star because how quick, easy, understanding, helpful and amazing they do their job. "BURLIN WITCHER" did a great job with the time he said "HE" will be done with us to move to the next step and how quick he had his team (GREAT JOB TEAM) cleaned, checked the vehicle before taken from his hands. My parents was/is still satisfied for the selection of vehicle, color, service! That their is great people person to provide for his own. Thank you so much for giving my parents the smile on their faces and the help, choices and dedication to show how much you cared. Much thanks and blessings! Great job "MD" We appreciate all your hard work put in for my parents to get what they both love. "Komol tata"
As a repeat customer to this dealership, I know they will do whatever it takes to satisfy you as a customer. The sales staff is knowledgeable and treats you with respect. The service staff is professional, with a high level of expertise concerning their product. 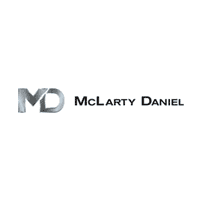 I highly recommend McLarty Daniel for all of your vehicle needs! The dealership was very accommodating. Kyle was our salesman he worked hard to keep us happy. Definitely went above and beyond. Really everyone we encountered was welcoming. Thankful we chose McLarty Daniel for my Jeep.